Listen again to Songs of Hope. Broadcast on 24 August 2014 on Southern FM 88.3. One hour of Christian praise and worship music. Includes the story of John Flynn at 3/4 hour mark. 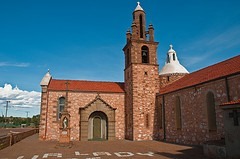 The church above is in the remote town of Mullewa in Western Australia.